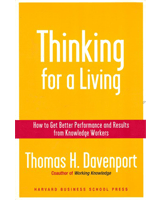 If you are a knowledge worker, or manage them in an organization, you need this book to guide efforts to improve performance. Knowledge workers are different, and the approaches to enhancing their work must be guided by their unique attributes. Find out how the best organizations get the most out of their knowledge workers. Virtually every organization gets enthused about new business and management ideas from time to time. 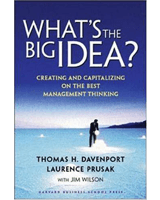 But few know how best to capitalize on business ideas, and how to harness the “idea practitioners” who embrace new ideas first. This book also contains the first-ever objective ranking of management gurus. One of the ten best books of 2001 – Amazon.com and Borders.com Winner of the Library Journal Award for one of the best business books of 2002. 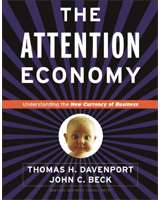 Attention has become the most valuable resource for any businessperson. Find out how to capture attention when you need it and allocate it to the most important information. This is Davenport’s most fun-to-read book, with thousands of attention-getting information tidbits! In this book, Davenport and his co-authors chronicle the efforts of Siemens, an industrial giant, to capture and manage the knowledge of its people. 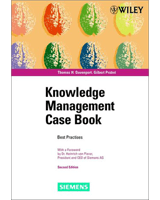 It is perhaps the only detailed account of a diversified corporation’s efforts in knowledge management.